WASHINGTON, DC, December 2, 2009 (ENS) – The heads of the world’s largest international financial institutions today called for a comprehensive agreement to combat climate change at this month’s United Nations conference in Copenhagen and agreed to further coordinate their own efforts to help achieve the meeting’s ambitious goals. They pledged to use their own organizations’ mandates, expertise and resources to help authorities combine with the private sector to confront the challenges of climate change and to make the best possible use of available financing. The heads of the African Development Bank, Asian Development Bank, European Bank for Reconstruction and Development, European Investment Bank, Inter-American Development Bank, World Bank Group and International Monetary Fund committed their organizations to the use of technical assistance and funds to further support their environmental goals. “Climate change is one of the most complex challenges of our young century. 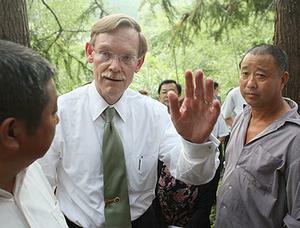 No country is immune,” said World Bank Group President Robert Zoellick from his office in Washington. “No country alone can take on the interconnected challenges posed by climate change, including difficult political decisions, daunting technological change, and far-reaching global consequences,” said Zoellick. But civil society groups warn that multilateral development banks can worsen climate change through their financing of fossil fuel development projects. Former president of Ireland Mary Robinson and Senior Fellow at the Miller Institute Alice Miller published an article Tuesday arguing that if the World Bank is going to be the institution for climate financing, it can improve its practices to live up to this role, particularly its energy portfolio. The financiers themselves are concerned that global economic crisis not distract the world from tackling climate change. 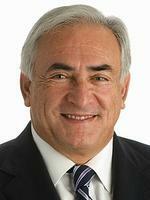 International Monetary Fund Managing Director Dominique Strauss-Kahn said, “Sustaining the recovery and putting in place effective climate change policies can be mutually reinforcing with the right policies implemented resolutely,” he said. “Global cooperation, including among international financial institutions, will help countries to confront the challenges from climate change. These require innovative and long-term solutions, which have a part to play in supporting the recovery and sustainable growth. The IMF can assist in its areas of expertise to advise on policies and support countries that are most vulnerable to economic and climate challenges,” said Strauss-Kahn. From December 7-18, the UN climate talks take place in Copenhagen with representatives of more than 170 world governments and dozens of heads of state and government set to attend. The negotations are aimed at crafting an agreement from 2013 to further limit greenhouse gas emissions that are already warming the planet. The agreement will take effect when the Kyoto Protocol’s first commitment period expires at the end of 2012. The first commitment period 2008-2012 required 35 developed countries to cut their emissions by an average of 5.2 percent. “It is critical that developed countries continue to take the lead in the mitigation of climate change by adopting adequate quantitative emissions reduction targets beyond 2012, and support and enable nationally appropriate mitigation actions by developing countries with technology, financing, and capacity-building,” they declared. The United Nations’ chief climate negotiator Yvo de Boer has denied suggestions the Copenhagen meeting will be a failure. As executive secretary of the UN Framework Convention on Climate Change, UNFCCC, de Boer is confident the conference will deliver an agreement, with ambitious emissions targets from developed nations, and commitments to cut emissions growth by the developing world. 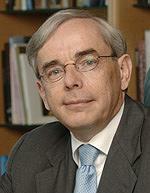 But he says a legally binding treaty is not likely to be completed until June 2010. In view of the complex and contentious climate negotiations, the financiers said today that a new and higher level of cooperation between the private and public sectors is essential to master this challenge. “We will also seek to leverage public funds with private financial flows so as to mobilize market-based financing for climate investments,” they said. 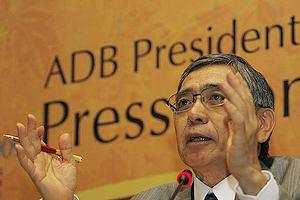 Asian Development Bank President Haruhiko Kuroda sees economic opportunity in the process of curbing global warming. “Climate change presents a daunting challenge – perhaps the biggest ever faced by humanity. But it also provides an opportunity to transition towards a more sustainable growth path,” said Kuroda from his office in Manila. On July 1, 2008, the World Bank Board of Executive Directors approved the creation of the Climate Investment Funds to assist developing countries vulnerable to climate change implement low carbon technologies. On September 26, 2008 donors gathered to pledge over US$6.1 billion. These funds are managed by the World Bank and implemented jointly with the Regional Development Banks. “Developing countries have shown that practical solutions to the challenge of low carbon growth and climate resilient development are available right now,” said Inter-American Development Bank President Luis Alberto Moreno. However, civil society groups have long been concerned about the negative impacts of international development banks on the environment and on indigenous peoples, as well as on the prospects for genuine economic and democratic reform, according to the Bank Information Center based in Washington and Bangkok. This nonprofit, nongovernmental organization says it will work to ensure that the Climate Investment Funds and Forest Carbon Partnership Facility are governed transparently and consistently with United Nations Framework Convention on Climate Change principles and decisions. A report released in October by former Mexican President Ernesto Zedillo calls for reforms at the World Bank Group such as “parity in voting, addressing the anomaly of one major donor having effective veto power within the institution, and calls for greater independent evaluation of the institution,” write Robinson and Miller. 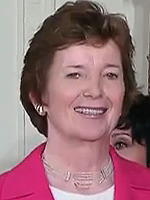 “Despite these concerns and critiques, until donors put significant additional funds into the UNFCCC, the World Bank by default is the world’s leading institution addressing climate change – what some have now dubbed ‘the Climate Bank,'” write Miller and Robinson, who served as United Nations High Commissioner for Human Rights from 1997-2002. The World Bank is undertaking a review of its energy investment strategy. Robinson and Miller urge the bank to provide greater energy access for the poor, prioritize local energy needs over export, and emphasize human rights standards in its work.